This 2017 new build home is move in ready and located next to a grassy common area creating an oversized backyard feel w/stunning mt views! Welcome home to the guard gated, amenity-rich Trilogy at Verde River & enjoy the social setting w/clubhouse, restaurants, community & lap pool, tennis courts, & golf course! 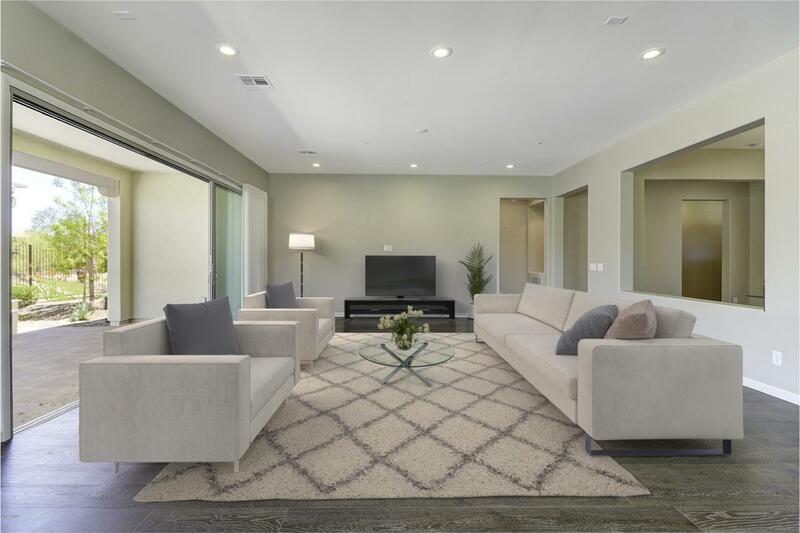 The light & bright 2,946 SF open floor plan showcases a 20k window covering package w/automated patio blinds, master suite, ensuite guest room, & separate entry guest casita w/full bath, living, & sleeping areas. The kitchen has soft close cabinetry, s/s Monogram appliances w/gas cook top, glass mosaic backsplash, island w/quartz counter, & adjacent laundry rm. The large pocket door to the rear yard creates seamless transition to the outdoors w/covered patio & pergola, & planters.